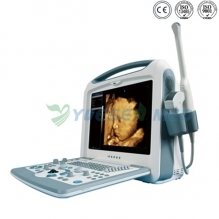 YSOT-JY3 operation table is suitable for various operations conducted by medical unit. Various actions are controlled by hydraulic pneumatic system and mechanical driven system. 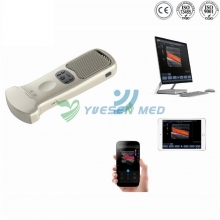 Head plate can be exchanged with leg plate which can fulfill the needs of C type arm complete examination, X-ray photography. Imported Y type sealing ring is durable. The table surface adopts imported carbon plastic plate,the mattress adopts high density memory sponge and is once formed,with no seam. Quality stainless steel 304 is used for base plate, column shield and rails on both sides of the table, easy for cleaning and sterilization. 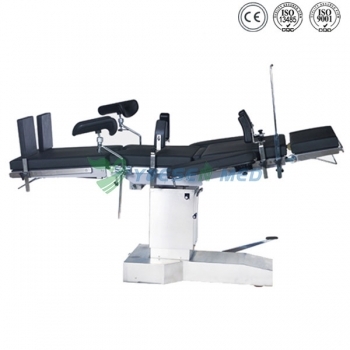 Foot treadle brake device which is easily for moving operating table.